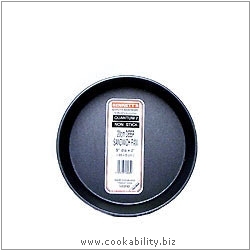 This bakeware has a unique, high-release, high-wear and scratch-resistant coating called Quantum 2. This internally reinforced coating system gives outstanding non-stick performance. It is double roller coated (not sprayed) to produce the toughest most durable bakeware coating available Non-stick care advice.